It’s a technological wonder of a world and businesses must stay up to date to be competitive, but even with all the smartphone apps and electronic mail, there is still a need for physical copies of images and documents. 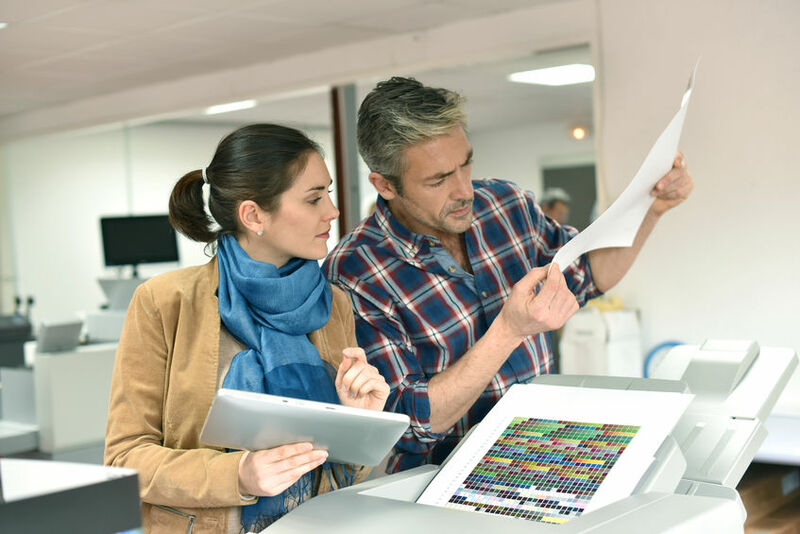 A multifunctional printer can be one of the most important devices in your office, so you want to choose the one best suited to your business. While you might be tempted to keep old or cheap printers if they are still functional, but they often cost more money than they’re worth in repairs. Instead, focus on new printers from respectable brands. So, do you choose a black and white basic printer or a multifunction color laser printer? It all boils down to what you’ll use it for. Here’s what you should take into consideration. Do you need photo-quality color prints or are you printing text-heavy documents? There are certain printers suited to each one. Some photo printers use superior imaging technology to create water-fast photos on regular paper, while a monochrome or color laser multifunctional printer is better suited to mixed or simply text-laden content. If you’re printing book-length documents on a daily basis, a regular printer will take too long. Instead, buy a high-speed printer that can reach an output of around 40 pages each minute, or one with less warm-up time that can get you printing in mere seconds. You may also find it useful to get a printer that can automatically sort documents within the paper trays to save you time. If you own a small business or just have a small office, space can be an issue. If you don’t have room for a separate printer, scanner, fax machine and copier, consider buying an all-in-one. A good multifunction color laser printer will save you money and work with a variety of paper sizes. You can multitask – saving yourself precious time to do more important things. If you’re looking for a low-cost option, this is your best bet. Some printers have the ability to save documents on a memory card for easy access. Simply scan and then send an email using the office wi-fi or wired internet. You can share them with other networked computers and some even have built-in Bluetooth technology to share documents with cell phones. Think of the time this could save you. When using a memory card to save documents, it can be important to have security features such as a password to gain access. Or you might find a use for a printer with a USB port for transferring files. These advanced printers have LCD screens to view your photos and will print them out automatically. If neither of these features is something you’ll think you’ll use, you’ll still probably want to buy a printer that can network through your office internet connection. This will let you send documents to the printer from any networked computer to cut back on the number of printers you need to function. When looking to buy a monochrome or color laser multifunctional printer, there are a number of acceptable brands with a variety of feature options. Think about how you’ll be using it and let that lead you to the best choice for your business. Contact Qualpath today for all of your printer, copier, and managed print service needs!